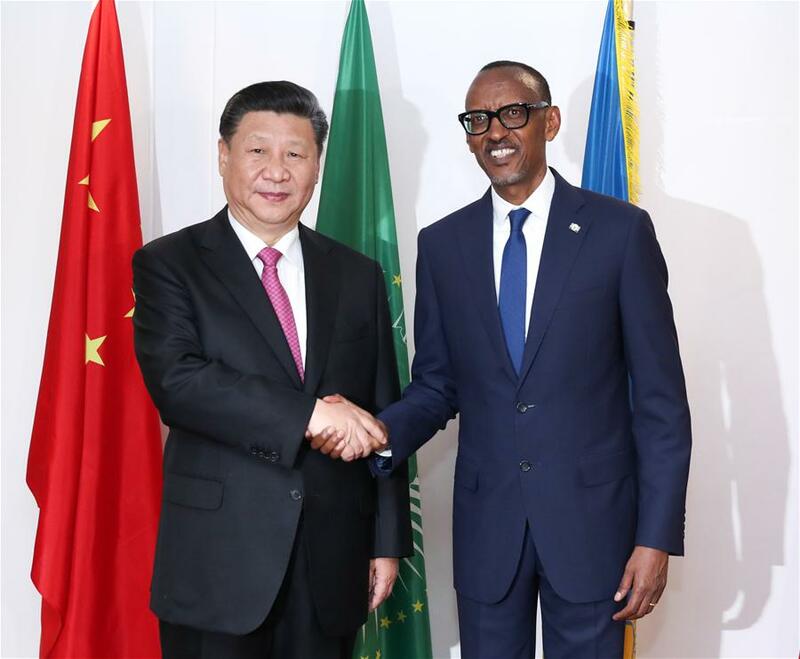 KIGALI, July 23 (Xinhua) -- Visiting Chinese President Xi Jinping and his Rwandan counterpart, Paul Kagame, agreed here on Monday to further promote bilateral cooperation in a bid to bring more benefits to the Chinese people, the Rwandan people and the African people. The two leaders hailed the growth of bilateral ties over the past 47 years since the establishment of diplomatic relationship. Xi recalled his meeting with Kagame in Beijing in March 2017, when they reached extensive consensus on promoting bilateral relations and friendly cooperation. Such consensus has helped bring China-Rwanda ties to a fast track of development. Beijing is willing to work with Kigali to transform bilateral traditional friendship into concrete benefits to the two countries and the two peoples, and turn a new chapter in their friendly cooperative relations, Xi said. China welcomes Rwanda's participation in the international cooperation under the Belt and Road Initiative, and encourages more Chinese investment in Rwanda to help advance the African country's industrialization and modernization, Xi said. Xi arrived in Kigali on Sunday for a state visit to Rwanda, the first by a Chinese head of state to the African country.